As a Soft Tissue Remedial Therapist I believe strongly in a whole-body approach for my clients, combining corrective exercise with ‘hands-on’ treatment for optimal health and well-being. My own experience includes treating Paralympic Athletes at the Paralympics 2012 – something I will never forget! I attended ballet classes for 12 years and discovered Pilates 10 years ago, initially using it as rehabilitation after a back injury. I wanted to offer ‘specialist’ 1:1 sessions and small Pilates classes that combine my experience and expertise in remedial therapy tailoring exercises to individual needs for the best results. You can get lost in a big class and so tailored sessions can identify and address muscular-skeletal imbalances whilst also providing a fun workout. I was looking for a professional course of a high standard that offered online theory training as well as practical training sessions at weekends so I could study in-between treating clients at my busy practice. I enjoy teaching so I would have to say it was instructing my Pilates class on my assessment day! Fitting in training and refreshing my knowledge of the cardiovascular, endocrine, nervous and bioenergetic systems! My course tutor Danielle was always available via email and phone and was exceptionally positive, motivational and informative when it came to course material. There are online webinars, audio books and interactive online tools as well as manuals, so a fabulous combination of learning style tools to suit all types of learners. 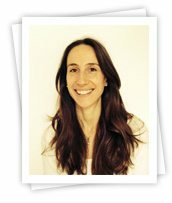 I run a busy practice as a Soft Tissue Remedial Therapist and I am also trained in Manual Lymphatic Drainage, Pregnancy and Postnatal Remedial Therapy, Myofacsial Release, Corrective Exercise and Pilates Instructing. If you want to offer an exceptional service to your clients you can never stop learning new tools and techniques, refreshing old knowledge through personal practice, health conferences, research, workshops and courses.